This makes it easier on the budget without paying interest. In the past to save money we would either eat before our visit at home, get fast food on the way there, or leave the park to eat and come back. My boys are always instantly hungry as soon as we enter the park regardless of if they have just eaten before. Having our meals covered makes life easier and has even saved us some money over time. It’s also nice to not have to worry about giving your kids money for food if they go with a friend. My family typically isn’t in the mood for the same type of food at the same time. With the All Season Dining Plan that isn’t a problem because everyone can choose where they want to eat. Sometimes we split up and eat at the restaurant of our choice or we let someone choose lunch and then someone else picks the dinner restaurant. There are even healthy and gluten-free options. Your meals have to be 4 hours apart. I would suggest either taking a picture of your food or setting an alarm on your phone to remember what time you ate last. Your pass will not work if you try to eat earlier than the 4-hour window. That means that you can just enjoy the waterpark and don’t have to go to the other side of the park if you don’t want to. 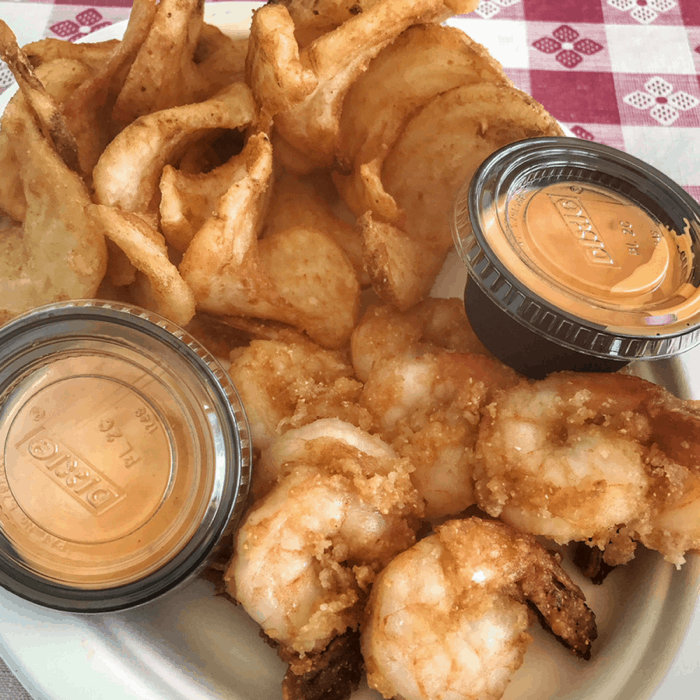 My favorite dining plan addition is the Island Smokehouse with a shrimp plate option that is REALLY good and my go to each time that I visit. The value of each meal is around $15 and is very filling. The pass pays for itself after a few visits. Drinks are not included in the pass but you can purchase a refillable bottle if you prefer to drink soft drinks. This makes me and my family happy. Your hardest decision will be deciding what you want to eat and which restaurant that you want to eat if from. There is also a sit-down restaurant on the dining options as well. 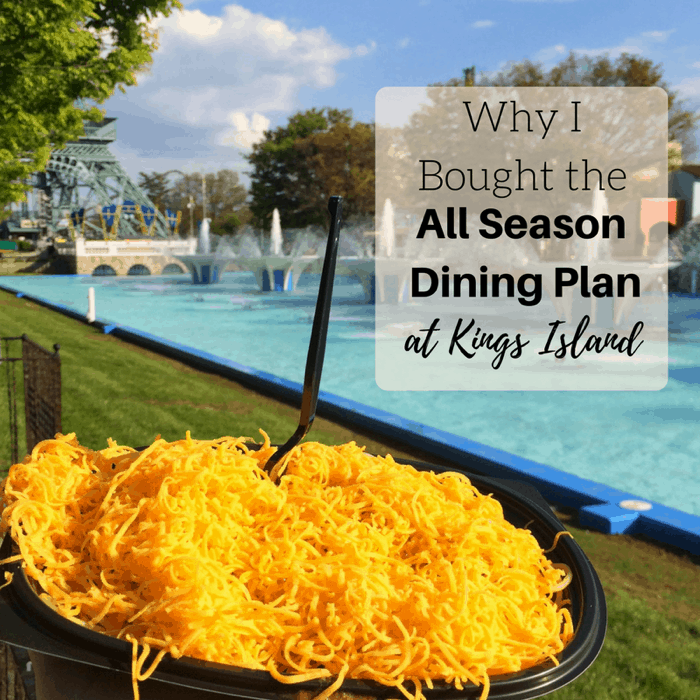 We purchased the All Season Dining Plan for several seasons and I think that it’s definitely worth the investment for Kings Island Gold Season Pass Members. Another bonus is that you can use your All Season Dining Plan during Winterfest too! Do you have a Gold Season Pass too? Did you buy the All Season Dining Plan? 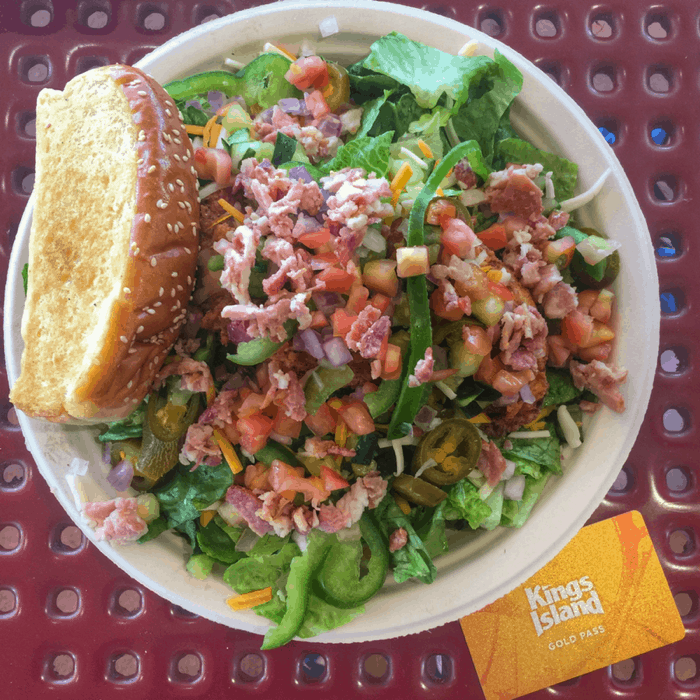 You can find out more about the Kings Island All-Season Dining pass from their website. 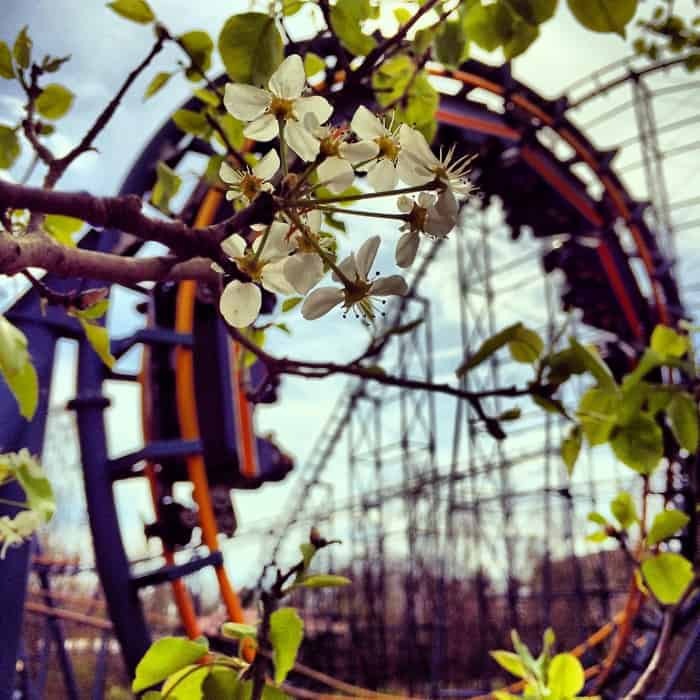 Kings Island is located at 6300 Kings Island Dr., Mason, OH 45040. How much is the all-season dining pass? And how much is the average meal? Just curious! I wish I still lived near Kings Island. 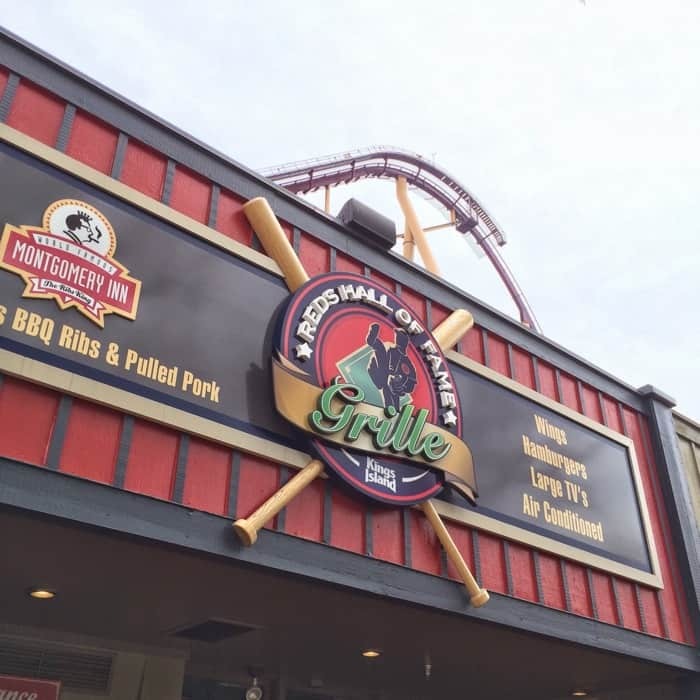 It’s a great park! We are a fam of 5. We purchased 2 all season dining meal passes. I have found that it’s so much food that we can easily split two meals between the 4 of us that usually go. My husband is usually working. I am contemplating buying another one but haven’t decided on that yet. Will do bf we go again. I have been impressed w the food options. I did tip at Montgomery inn bc you are served there so there is that added cost. I like the refillable bottles. I let them get pop once and then they refill w water the rest of the day. I LOVE the specially designed water fountains that are perfect for water bottle filling. 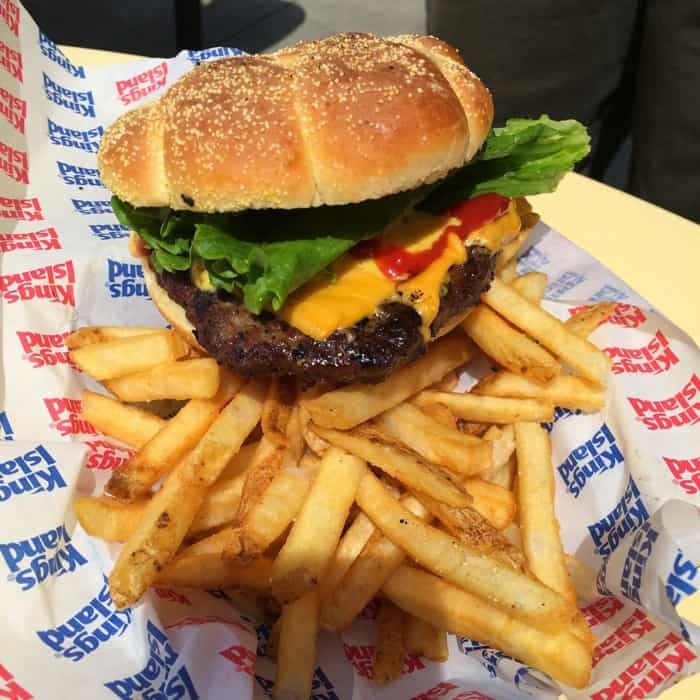 The dining plans are a great way to save money for a family when visiting any of the Cedar Fair parks, and Kings Island provides some great meal options. Nice writeup! Your receipt is time stamped so you’ll know when it’s been four hours. Are their any restrictions on the food you can get? 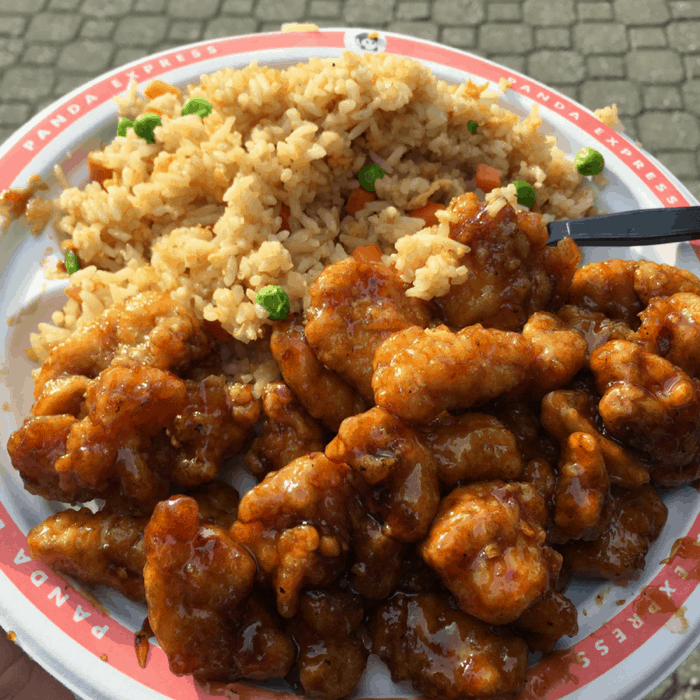 Can we get a snack/funnel cake with this meal plan? There are specific restaurants/concessions on the stands throughout the park. Unfortunately, funnel cakes are not on the dining plan. I wish they were! How much are their meal plans? 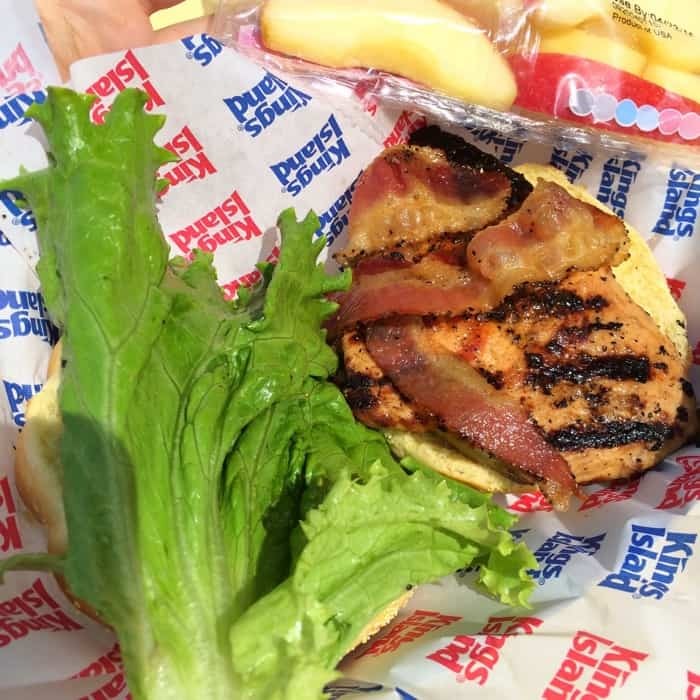 I’m seriously considering getting the gold pass this year for my son and I, but I can’t find season long meal plan info on Kings Island’s website. 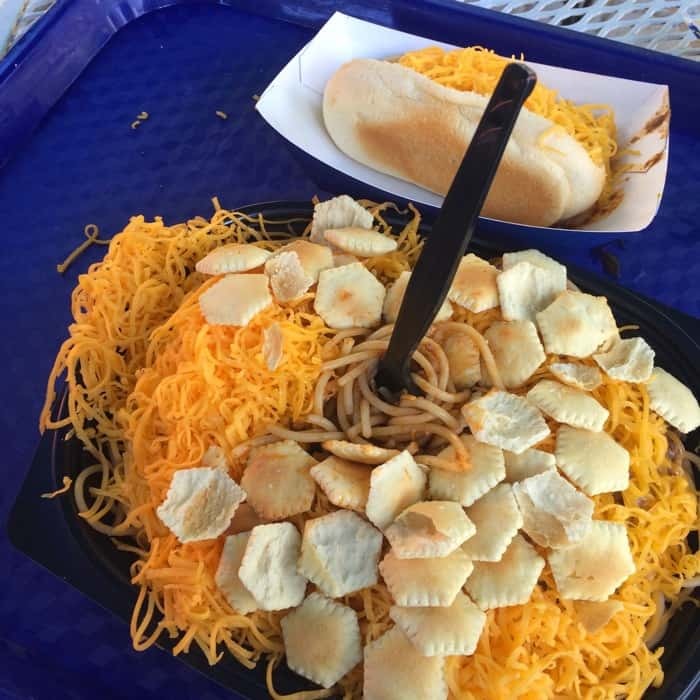 Here is the link https://www.visitkingsisland.com/ticket-category/Meal-Deals $111. If you go several times a season it will pay for itself. We eat two meals every time that we visit. Is there a list of restaurants somewhere? My girls like Auntie Annes and Tom and Chee. The website says the restaurants are subject to change. We’ve had the all season dining plan over the past few years and I’ve never seen those restaurants as an option. They typically will have a flyer with a list when you first walk in the park. Chic Fil A was a more recent addition that we really enjoyed last year. I also like the Chicken Shack. Tom and chee is I the plan again this year. Auntie Ann pretzels is not (all of the snack places are not)… Unless you count the new Coney BBQ meal portions as snacks! How much is the all season dining pass a month if payed over 6 months? Hi Valerie- It’s $20 per month. The first month has an additional $8.40 for tax. Only problem with the meal plan is so many people get it that most of the time is the lines for food are longer than the lines for the rides. So you better pack a lunch when standing in line for food. The person who’s name is associated with the season must be present in the park for the dining plan to be active for the day. It activates upon the pass being scanned at the turnstiles.